For several years I have been looking for a two-way radio company that I could recommend to my readers and clients. Radios are a big part of both security and logistics. If you can’t properly communicate then you can’t adequately get your job done. Cell phones and text messages are helpful; however, if you want to get information across instantly there is no replacing the two-way radio system. Twowayradiocenter.com comes recommended as securityatchurch.com primary radio resource. As you can see below they are capable of selling you radios for your facility or renting you radios and equipment for your conference and special events. 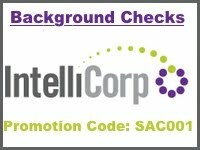 They have been kind enough to set up a 5% discount for all securityatchurch.com readers. Just mention the coupon code or enter it during checkout if ordering online. 5% Discount Coupon Code: "Churchsec"
Twowayradiocenter.com is a division of Wired Fox Technologies and is dedicated to selling Motorola and Vertex Standard two way business radios. We are focused on the use of two way radios in a business environment, where communications is vital to the efficient operation of the of your business, safety of your workforce and/or the support of your customers. We have been in the technology business for over 30 years and have found that the technology used in two way radios is stable, efficient, simple and cost effective. The return on investment of this technology is superior of other communications technologies. We have Partnered with Motorola, the leader in two way radio technology. They have been in the radio business since 1928 and the two way radio business since 1930. Their unmatched technological leadership on the public safety and military side of their business provides a solid foundation for their business two way radio offerings with products that are nearly indestructible. In 2008 Motorola purchased Vertex and now offers both the Motorola and Vertex brands in the marketplace. All products are shipped from a 50,000 square foot warehouse in Greer, South Carolina. We strive to ship all orders received by 3:00pm eastern the same day. Shipment is by UPS. The TwoWayRadioCenter has experienced technical support that can help you determine the best radio for your specific needs, help you program your radios or solve any technical issues you may have. Whether you are expanding your current network of radios or deciding if you should move to the new digital technology in two way radios we are here to help. Customer service is our top priority and we are available by phone from 8:00am to 5:30pm eastern time, Monday through Friday or by email 24 hours a day. We have had great customer service and support from Kenwood radios and Birmingham Two-Way in Birmingham, AL. The Kenwood radios have proven superior to Motorola and most Fire/EMS departments in our area use Kenwood radios.